NOTE: ONLINE MULTIPLAYER SUPPORT FOR THIS TITLE WAS TERMINATED ON 12/31/2009. ONLINE/MULTIPLAYER FEATURES ARE NOT ACTIVE OR INCLUDED. 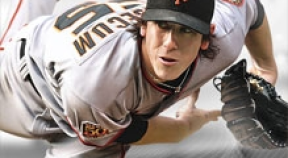 Major League Baseball(R) 2K9 captures the essence of baseball down to some of the most minute, player-specific details including batting stances, pitching windups and signature swings. 2K Sports has gone above and beyond the call of duty to deliver this in true major league fashion.